Aston Martin CEO Andy Palmer's presentation of the AM RB-001 hypercar at the Toronto auto show helped raise the brand's profile in Canada. 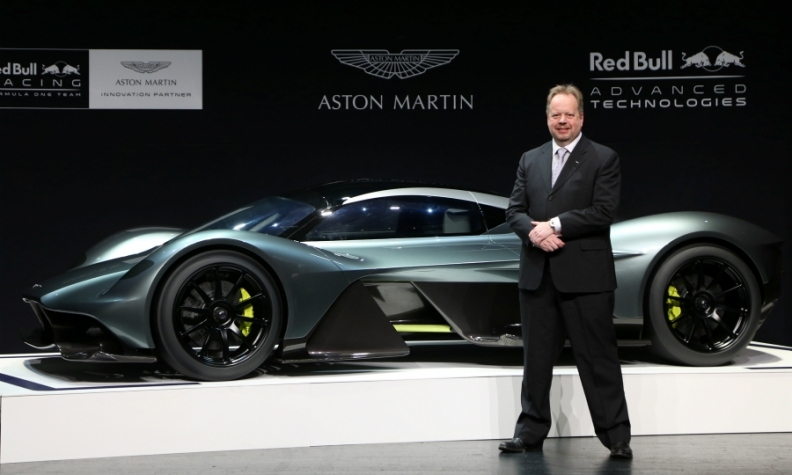 Aston Martin CEO Andy Palmer’s visit to Canada to unveil the AM-RB 001 at the Canadian International AutoShow was strategic in another sense: the boom of the ultra-luxury automotive market in Canada’s major urban centres has captured his attention. “It’s quite a bullish market, and I anticipate that it will grow as a total industry,” he said. “One of the interests of being here is to stimulate the market and stimulate our sales partner in Canada. For his part, Kam Movassaghi, sales specialist at Toronto-based high-end automotive dealer Grand Touring Automobiles, says that he sees Palmer’s visit as important and encouraging for lifting the profile of the Aston Martin brand in Canada. “It brings brand recognition,” Movassaghi said. “I think Aston Martin needs a lot of brand recognition in North America. The brand is not very known. They’re very exclusive. They don’t advertise; they don’t do billboards. Palmer echoed this need for improved awareness of the brand in the North American market when he addressed the attendees at the first Automotive News Canada Congress held in conjunction with the Toronto auto show.